You know you’re getting old when you lived long enough to see history repeat itself. Now, I know the fashion fad of flair bottom pants around a decade ago was a complete mimeograph of the 1970’s. I was a little too young to remember the masses wearing bell bottoms back then but I do remember *everyone* wearing neon colors, myself included, in the mid to late 1980’s. Fast forward to today, and going to any mall or driving by any bus stop in 2014, you’ll likely notice folks wearing some of the ugliest outfits in the past 30 years and/or sneakers that are the color of tennis balls. Think ahead and start unpacking your old plaid shirts — grunge is coming back next. Even technology, something you’d think would always be progressing, has taken a few pages out of the history books. 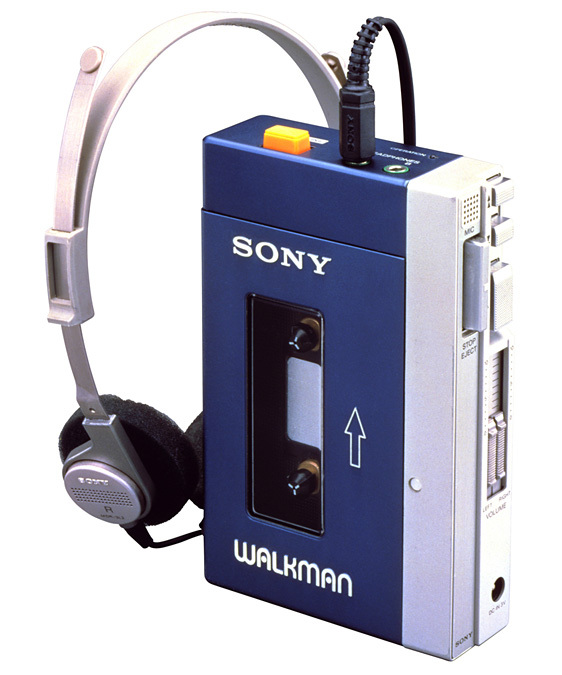 Sadly, neither the mimeograph or the ditto machine look slated to make a comeback but, for years, I *so* badly wanted a Sony Walkman for my birthday. I never actually got one though there was a crappy Radio Shack version of one in our house. No idea where it came from… Someone probably left it at our house on purpose — total piece of crap. Anyway, by the time I was in high school, in the early 90’s, wearing a walkman on your belt or even hidden in your pocket was about as “in” as wearing a pocket protector has ever been. It would have been social status suicide. But then comes along the iPod… Now it’s an accessory to your outfit again — like a scarf or something, to have your headphones on, even those ridiculous looking Beats ones. So much so that they’re accepted when you’re not even listening to music. And, related, I used to listen to all of my mom and dad’s 45’s on my Disco Duck record player. The record player is gone but I still have all of the ’45s in my man cave. They’re all from the late 50’s and early 60’s and provided hours and hours of entertainment for me when I was a kid. No one has more b-side Paul Anka knowledge than me. No one. When I was of the age to be buying my own music, albums were the way to go — whether on vinyl, cassette, or CD. Sure, cass-singles (which I just mentioned the other day) were available but hardly popular. A blip on the chart when it came to music sales. When’s the last time you bought an album? 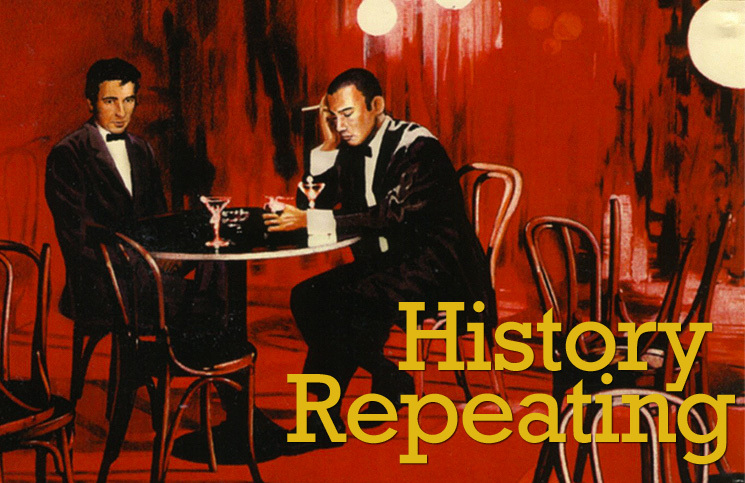 Okay, maybe it wasn’t that long ago but when’s the last time you bought (or stole) a single song online? Within the past month for most, I’d guess. The “innovations” that have made you so successful are just rehashings of the 1960’s and 1980’s. Strange that they’re, by-and-large, considered to be societal changing innovation company when their most successful innovations have all been done before. Have I mentioned before that I’m not a fan of Apple? Sticking with computers, an industry I’ve worked in for nearly two decades, it’s funny to me how “the cloud” has become a trendy buzzword, you know, where it’s “good” to be on the cloud. People who have no idea what “the cloud” is really seem to want to go to there. When I was just getting going in my career, the folks who today would say they were “on the cloud” were using what we called “dumb terminals” back then. Entry level folks were on “dumb terminals” so-as to protect themselves from, well, themselves. I was pretty darn proud to “not” be on the cloud back then. 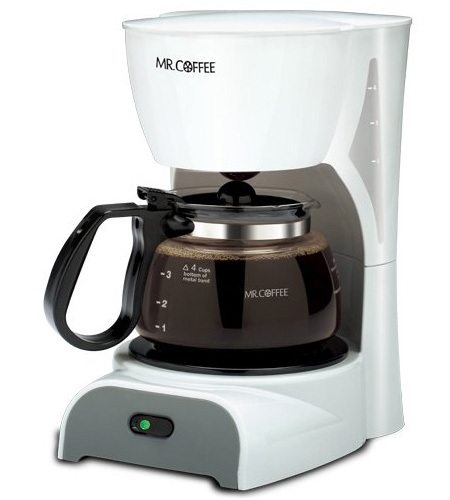 Up next… Remember when everyone wanted a Mr. Coffee? I mean, even to non-coffee drinkers, pretty much every household that had a toaster also had a Mr. Coffee. No one in my family drank coffee ever but we had a Mr. Coffee (and a bag full of filters) stored away in the cabinet where the seldom used blender lived. The “home” coffee machine’s popularity waned as instant coffee gained more traction and then places like Starbucks started dotting the landscape marketing themselves as a premium product in comparison. Starbucks and all of the donut chains kinda made instant coffee — and those awesome flavor crystals — feel like how I’d imagine Tropicana or Minute Maid makes Tang feel. Then Keurig, with their expensive single cup k-cups, came around and revolutionized everything when it comes to the home brewing of coffee! Really, it’s a Mr. Coffee that uses instant coffee mix. 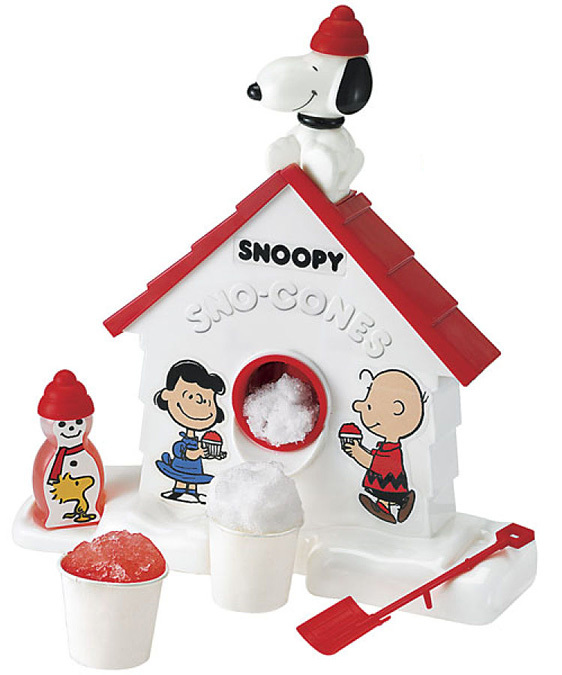 Hmmmmm… is a slightly modified version of the 1970’s Snoopy Sno-Cone machine just around the corner? Probably. And how about alcohol? I wasn’t old enough to drink in the 1980’s but I sure remember those Bartles & Jaymes commercials. And Ringo Starr dressed as a polar bear for Seagrams hawking “golden” wine coolers. If I recall, they were quite popular. They fell out of favor in the 90’s (when I could drink) and the few that were still being marketed were tucked in the back cooler of the liquor store with drinks like Zima. They’d been relagated to a “gag item” status. Chick drinks. Enter the 2000’s and the beer aisles were rapidly invaded by an endless variety of “Hard” Lemonades, “Angry” Ciders, and those fruity Smirnoff Ice things that taste so good. But, for real, they’re just 1980’s “chick” drinks with cool stickers on the bottle. Am I the only one that doesn’t see this? Or is it that I’m just that old?